EQuIP has developed a Hate Crime Charter that will help private businesses across Warwickshire to identify and report hate related crime/incidents. This new innovative project is first of its kind in the West Midlands and it has been developed in response to the large volumes of hate related crimes that are occurring in Warwickshire. According to official police statistics, there has been a year-on-year increase in hate crime in Warwickshire since 2012, although there has been a sufficient increase in hate crime since 2016. Warwickshire has produced an Annual Hate Crime Report each year since 2016 and the findings have enabled all stakeholders to pinpoint where hate crime is occurring, the types of hate crimes and the people who are most vulnerable to hate crime. The 2017 report highlighted certain environments and business settings that are most vulnerable to hate related crimes including; food outlets, educational establishments, high street shops, licenced premises, supermarkets, service stations, hospitals and police stations were all listed as the most vulnerable. 18% of hate crime in Warwickshire during 2017-18 took place in a food outlet, namely in take-aways, restaurants and cafes. The Hate Crime Charter has initially set out to focus on supporting food outlets, so they were better equipped to identify, and report hate crimes/incidents. Supermarkets and convenience stores were also supported due to the high volumes of hate crimes taking place in these settings, especially businesses that were in certain parts of the county and those that were open during the night time economy appear to be more vulnerable. Train staff and volunteers working in the business sector to develop their awareness of hate crime/incidents with the view of identifying and reporting incidents. 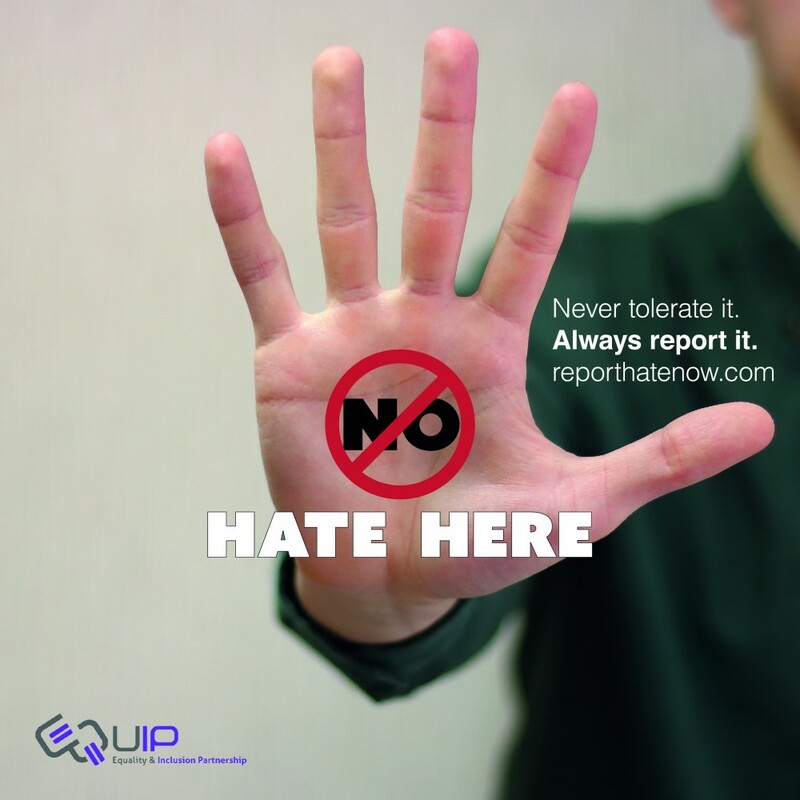 Report all hate related crimes through the various reporting mechanisms available which include the www.reporthatenow.com website, telephone or email. 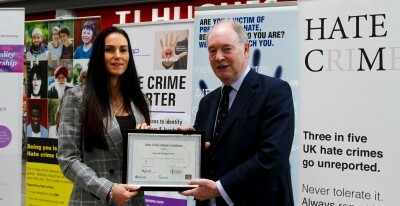 The initial Hate Crime Charter project which has supported food outlets and supermarkets was funded by the Warwickshire Police & Crime Commissioner. The next phase of the Hate Crime Charter which starts in April 2019 will focus on transport including providers of buses, trains and taxis services. However, there is potential for EQuIP to support all private businesses types to benefit from the Hate Crime Charter. Any local businesses that are interested in participating in the Hate Crime Charter, please contact EQUIP via advice@equipequality.org.uk or telephone 01788 863117 to seek further information. EQuIP have been involved in a wide range of projects across Warwickshire. Take a look at some of our other campaigns, actions and events.